It’s a jangle out there is a radio show on MAINfm, a community station broadcasting on 94.9 FM in Castlemaine, central Victoria, Australia. 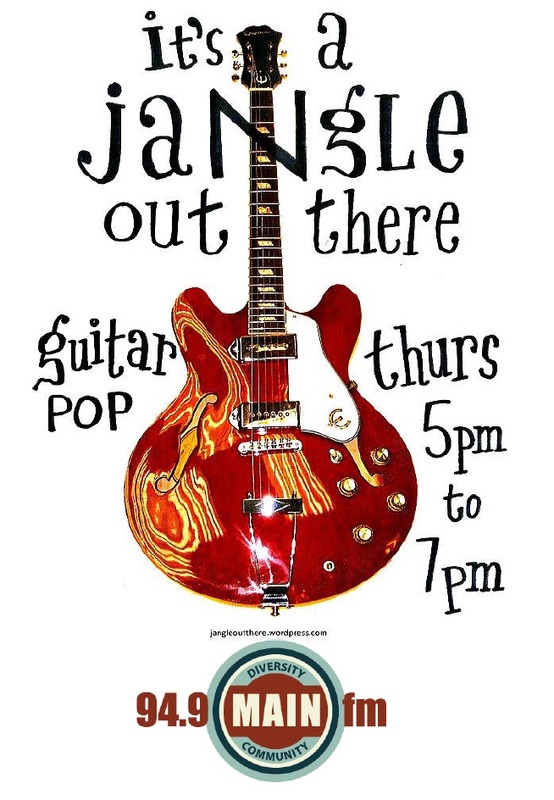 It’s a jangle out there, presented by Josh Meadows, goes to air from 5pm to 7pm every Thursday. Tune in on 94.9 FM if you’re in Castlemaine, or listen live here or with the TuneIn app. You can listen back to some of Josh’s interviews with various guests on MAINfm’s Soundcloud page. What a first up playlist!! Three Stephens in a row last week… Malkmus could’ve been a fourth. When too many Stephens is not enough. So good to hear the show at last Josh – all bookmarked and alarm set from here on! Thank you for playing my song Shine A Light on your show yesterday.. Thanks Diane. I’ll keep an ear out for that compilation. The track choices look great. Wish I could listen in one time. What a cracker! Love the wild drumming and the incessant noodling guitar. Thanks for alerting me to it. Hi Josh, I got an email from my good friend Wally who runs The beautiful music label and he said that you were playing songs from A Riot of Colour’s Everywhere A Maltby CD. Thank you! I was in that band back in the UK. I now reside in Newcastle, the NSW variety. Cheers, Ali. Wow thanks Josh for playing another track by the milestone band ,can’t believe we were part of such a great set list !! Amazing show !! Hi Neil, thanks for your message – and your music. Keep up the good work! Awesome show again !! you played us after my all time favourite band big star , how cool is that ! !